Westholme’s U14 and U16 Badminton teams played against schools from all over Lancashire in th4e Red Rose Badminton competition, the Lancashire Schools’ competition which consists of a team of four players playing both singles and doubles matches. Both Westholme teams played well throughout the competition and reached the finals in their respective finals, which they both subsequently won. 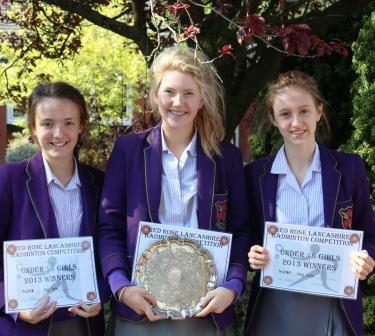 Congratulations to the U14 and U16 Westholme badminton teams who have been crowned County Badminton Champions.